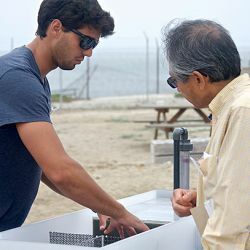 The future of aquaculture in California is complex but opportunity abounds. 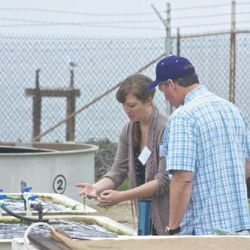 During a forum on Pathways Toward Responsible Aquaculture in California held at Moss Landing Marine Laboratories on 11 and 12 August 2018 more than 130 scientists, regulators, owners of aquaculture businesses, legislators, and NGOs participated in a wide-ranging discussion regarding the possibilities and challenges. 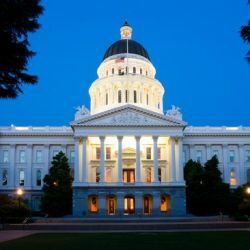 Please use this link to view a summary of the meeting, agenda and abstracts, videos of all the talks, and other information and links related to this important forum on the future of aquaculture in California. Aquaculture will be a major source of food and energy in the future. 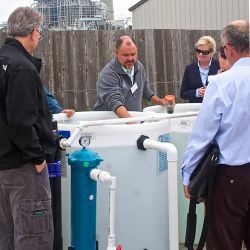 We help lead the way in developing a rigorous foundation and policy for aquaculture science and in training the workforce and leaders in sustainable aquaculture in California, the United States, and worldwide. Our new aquaculture program at MLML includes new facilities, instrumentation, personnel, and curriculum. Aiming to solve real world problems in aquaculture and address broader societal issues. 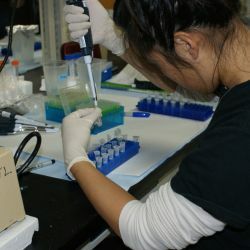 Serving students’ needs and training a technical workforce for a growing aquaculture industry. Promoting a successful and sustainable aquaculture industry in California and worldwide. Learn about our mission and goals for our aquaculture facility. 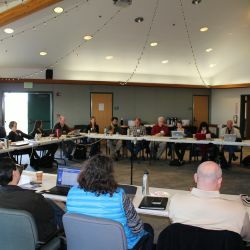 Our governing team that makes decisions about our aquaculture program. Learn more about why Aquaculture is important and what we're doing at our facility. Check out our new aquaculture facility. Have questions about aquaculture or our facility? Or just want to get in touch? Get the latest updates about what is happening at our Aquaculture facility and at MLML. Stay connected with MLML by following us on Facebook.